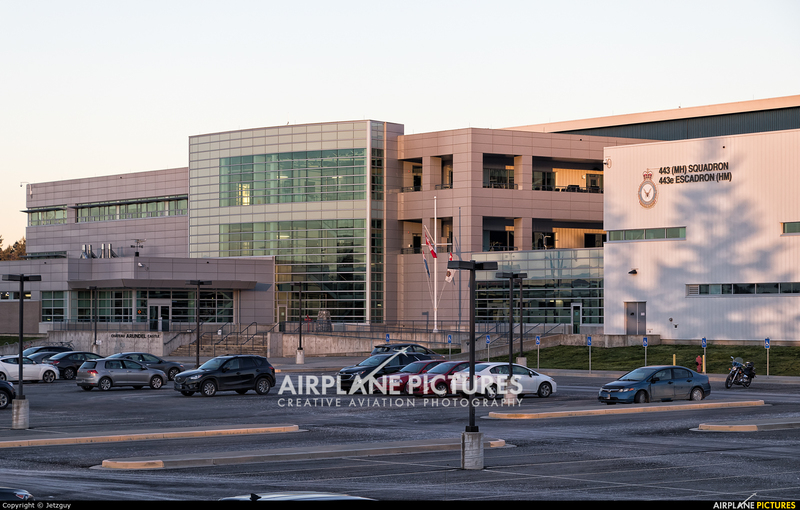 This is the new 155 million dollar hanger complex built by the Royal Canadian Air Force to house the newly acquired Sikorsky CH-148 Cyclone Maratime Patrol Helicopters for the West coast of Canada. 28 of these very capable Canadian machines are on order. They have given this complex the Nickname "Arundel Castle" as the old castle in England was a dominant feature of the area in West Sussex where 443 Squadron had its roots as a fighter unit equipped with Spitfires in World War II. Well fancy that! The real Arundel castle is about 10 miles from my home - I drive past it frequently! 443 squadron were based for a time at RAF Westhampnett, now known as Goodwood Airfield, about 5 miles from my home. Small world! Well that is interesting. Small world indeed!